ECET2RI stands for Elevating and Celebrating Effective Teaching and Teachers in Rhode Island! It was born out of a desire to provide a forum for exceptional teachers to learn from one another and to celebrate the teaching profession. We believe that our Rhode Island teachers are the anchors of education! and use the hashtag #ECET2RI. ECET2RI is currently seeking sponsors! Please click here to visit our sponsor page to learn more about the importance and perks of supporting this unique event! Check back in as we get closer to our date to see detailed information about Keynote Speakers and Breakout Sessions planned for 2018! ​David Upegui, is a science teacher at his alma mater, Central Falls High School and has served as an adjunct professor of Biology at RI College and Education at the University of RI. He is currently a doctoral student at URI. David was selected as a state finalist for The Presidential Awards for Excellence in Mathematics and Science Teaching in 2015 and 2017.He was the recipient of the National Association of Biology Teacher’s Evolution Education Award: 2014, Rhode Island College Alumni Honor Roll Award: 2014, National Science Teachers Association Shell Science Lab Challenge: 2014, Amgen Award for Science Teaching Excellence: 2013, Latino Public Radio: Outstanding Achievement: 2013 and Rhode Island Department of Education Golden Apple: 2012." 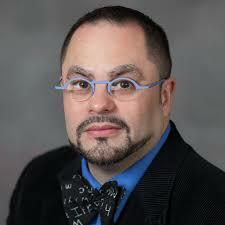 ​Alan Tenreiro comes from a family of educators. His grandfather was a high school assistant principal. His mother was a teacher. His sister is a teacher. Upon graduating from Mount St. Charles Academy, he enrolled at Rhode Island College and began chasing his dream. He earned a bachelor’s degree in education and a master’s degree in educational administration, both from Rhode Island College. He spent seven years teaching social studies at his alma mater, Mount St. Charles Academy. Then, in 2006, he was named assistant principal at Smithfield High School. In 2012, He was named principal at Cumberland High School. He served as a member of the Pawtucket School Committee from 2003-2014 and also as a member of the Mount St. Charles Board of Trustees from 2008-2014. In 2015, he was named National Principal of the Year. Click on Learn More to get to know Alan! Click on Learn More to view detailed Breakout Session information! Colleague Circles are support communities that meet throughout the convening to share and address common challenges. These central hubs allow participants to quickly build intense professional, social, and emotional bonds. Some teachers report forming relationships in colleague circles that last well after the convening. In fact, many teachers have said colleague circles are the most important and rewarding part of convenings. Click on Learn More to watch a Colleague Circle in action! ECET2RI is a regional event born from National ECET2. To learn more about the mission and exciting components of ECET2, visit their website and check out these videos we have shared here! 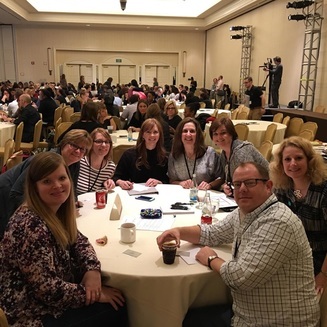 ​As of the end of 2015, there have been 5 national convenings, 111 regional convenings in 27 host states, and over 19,000 teachers who have attended an ECET2 event. Be sure to reach out to our planning team with any questions you have about ECET2RI or to learn more about planning a district ECET!